The glittery nail trend has been going on for a while, whether it's glitter on the ring finger, all over, or on the tips. 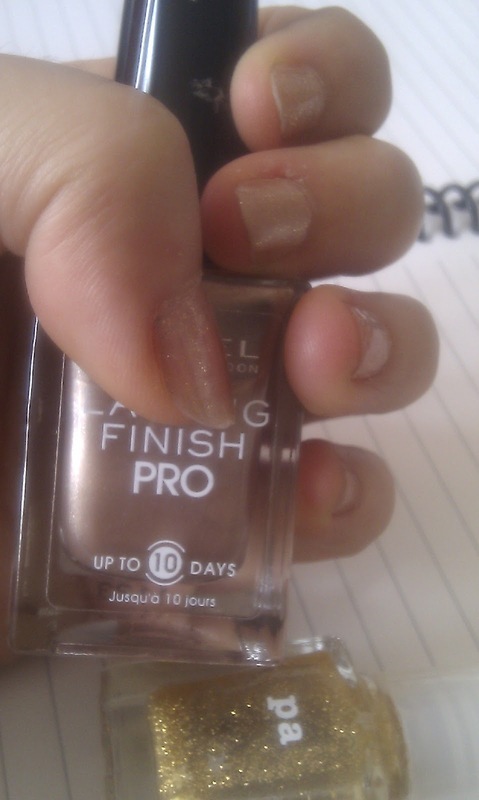 Right now I'm loving this combo of Rimmel Lasting Finish Pro in Gold Silk and Pa gold glitter nail polish (Random Japanese brand from my sister). 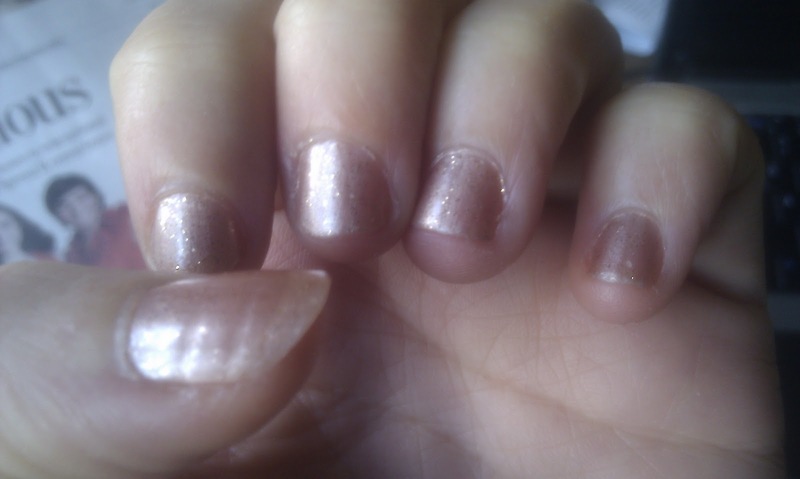 They give my nails a nice subtle sparkle which is perfect for work. 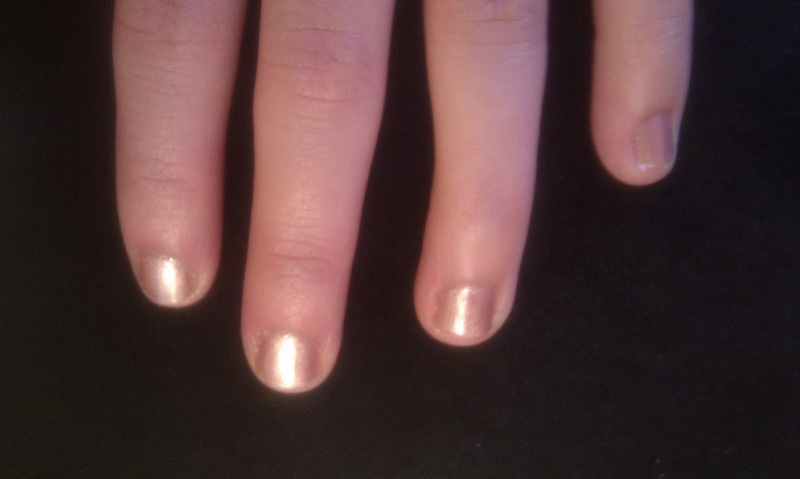 Then once completely dry, paint on one coat of gold glitter nail polish (sheer). Let dry and finish with top coat (I use OPI). I also like to use drying drops to speed up the drying time, drip dry by OPI. That's it! I love how the look changes in different lighting. I'm thinking of mixing up the shades of metal and glitter, and trying some of the other trends too. What's your favorite nail trend right now? pretty! My favorite would be putting gold leaf on your nails... per my last DIY. Happy weekend!